You can now search for formatting properties, have slicers which work across pages and create quick measures, among other new features. Lots to get excited about! 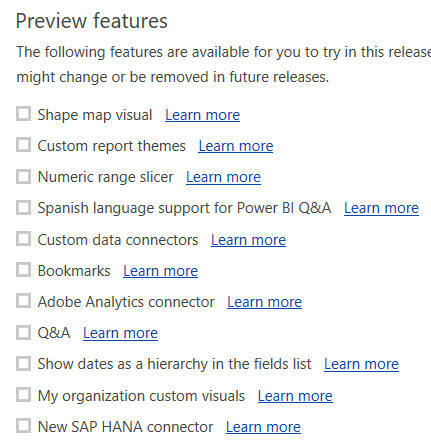 The subjective Wise Owl rating goes from 1 (of little importance for most Power BI Desktop users) up to 10 (will have a huge impact on your everyday report designs). The final column shows the number of months that each feature has spent in preview since I started tracking it (the current winner must surely be shape map visuals).